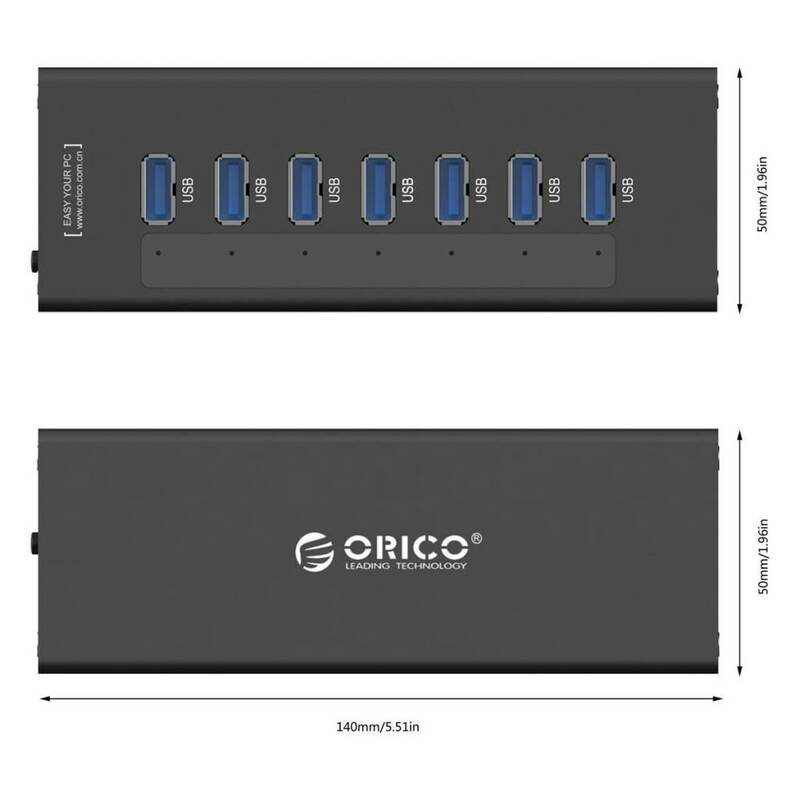 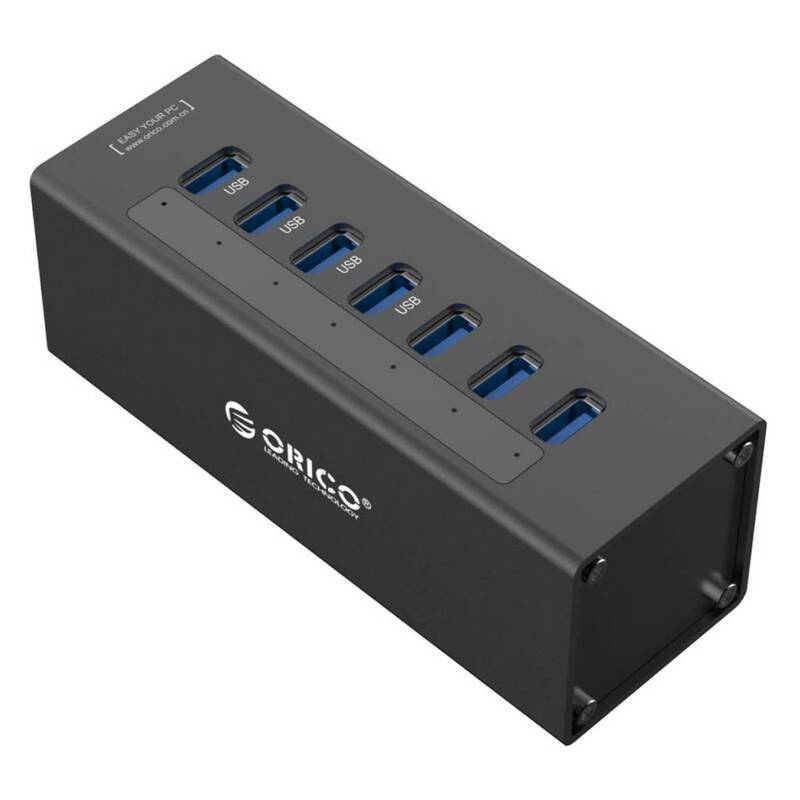 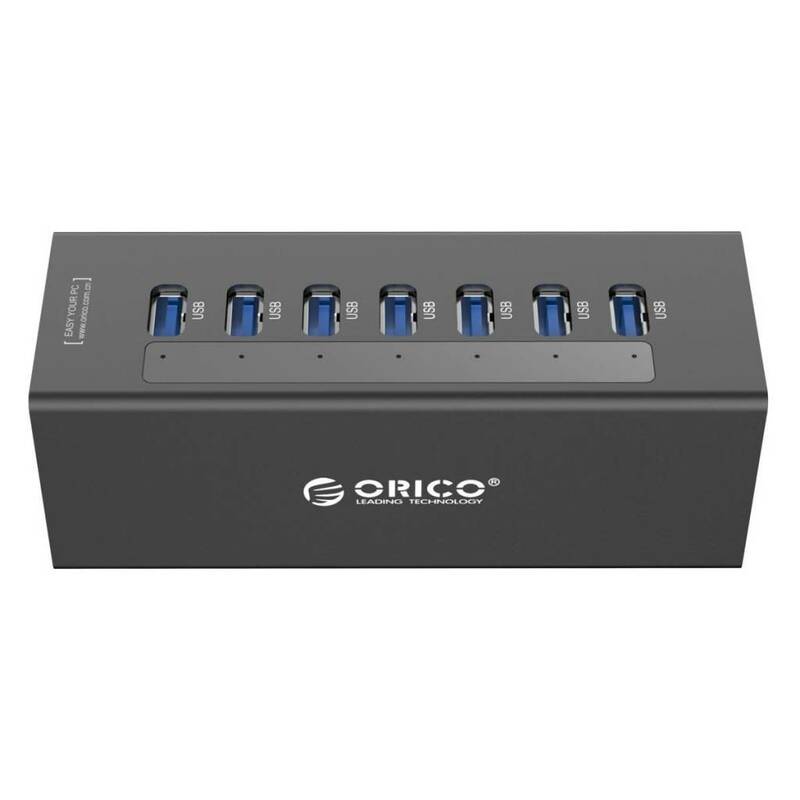 ORICO 7 Port Aluminum HUB with 12V2.5A Power Adapter and 3.3Ft. 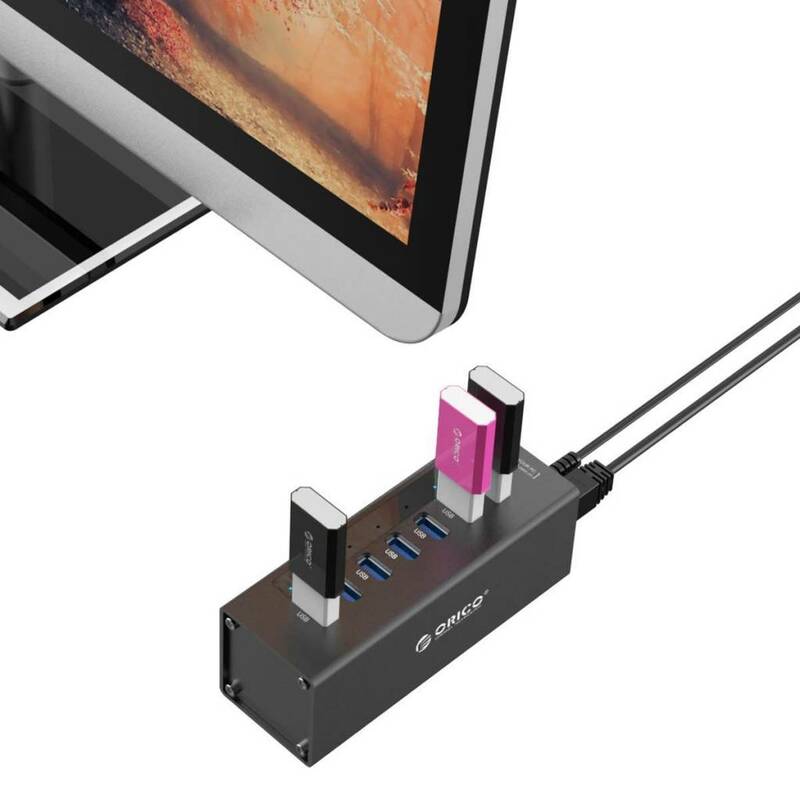 USB3.0 Date Cable - Black(A3H7) - NWCA Inc.
Made of Aluminium, compact and durable construction provide excellent protection for your valuable data. 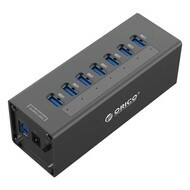 Windows (32/64 bit) 8.1 / 8 / 7 / Vista / XP, Mac OS X 10.8.5 to 10.9, Linux 2.6.14 or above.